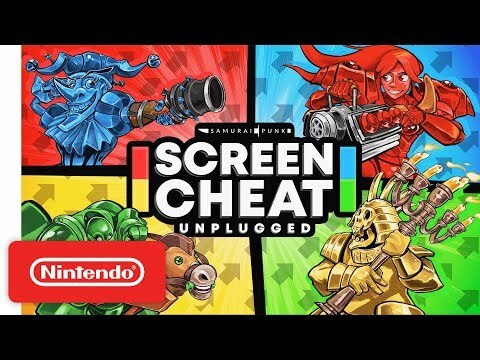 Screencheat is the award-winning, split-screen shooter where everyone is invisible, so you have to “screencheat” (verb: to look at your opponent’s screens), enhanced exclusively for Nintendo Switch! 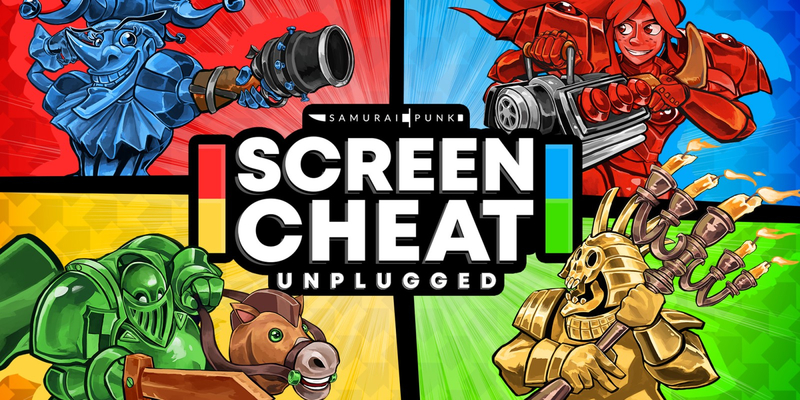 Inspired by the great split-screen shooters of yesteryear, Screencheat: Unplugged is a fresh take on the classic couch multiplayer you know and love! Ranging from the dependable Blunderbuss to the heroic Hobby Horse to the completely crazy Chefolet; a car engine that fires ricocheting energy balls, all are designed to deliver deadly satisfaction. 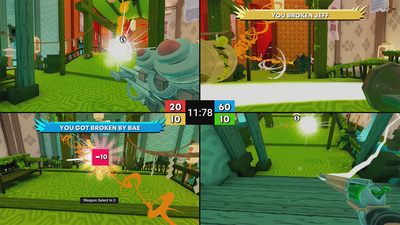 Each weapon comes with its own unique mechanics, encouraging wildly different play styles. Gather your friends and play together using single or dual Joy-Con controllers or the Pro Controller! 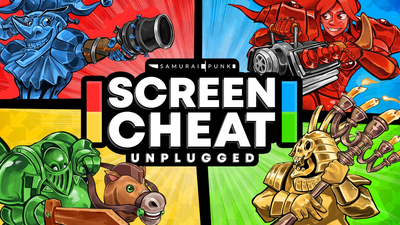 Screencheat features a host of intuitive control schemes no matter what you’re playing with. Choose a control scheme, then customise it to suit your play style. 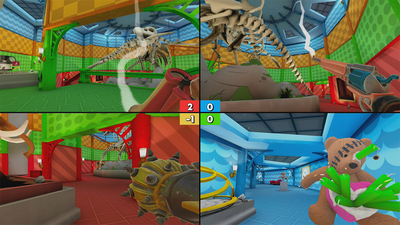 From traditional favourites such as Deathmatch, Capture the Fun where players compete to hold a pinata for the longest, to the completely unique Murder Mystery that challenges you to find and frag your specific target with a specific weapon. In the spirit of the best arena shooters, you’ll spend time traversing 11 maps via air vents and trampolines until you’ve acquired your target and fragged them accordingly. Each map is designed with colour-coded areas as well as plentiful landmarks that allow you to quickly locate other players without being able to actually see them. We've got heaps of customisation options so you can play the game however you want! Choose which weapons are allowed, adjust player attributes, victory conditions, penalties and more. To really mix it up stack on some Mutators such as hyper mode, low gravity, flappy jump or the iconic Australian Edition. Screencheat is a hit of nostalgia for those who are beginning to feel old, and a fun new way to play for those who aren’t. While certainly unique, Screencheat Unplugged just never quite hit that level of fun to keep me coming back for more. The fact that most modes and weapons are behind a slow grind to unlock means that most folks won't see much of the game's content. Ideally these types of games “hook” you in the first few rounds but I didn't experience that in my play sessions with friends. Screencheat Unplugged has a lot of polish to it, but there isn't a lot of incentive to keep players coming back.